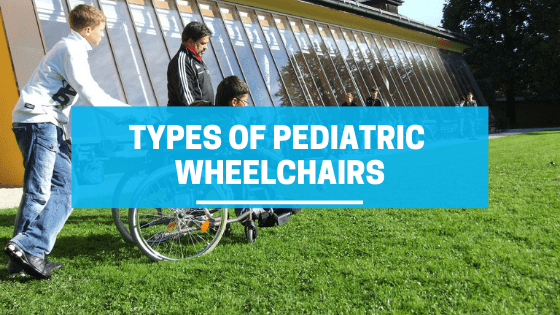 There are different types of pediatric wheelchairs which includes small child wheelchairs, growing chairs for children and juniors, lightweight or sporting wheelchairs, standard wheelchairs, specialty chairs, powered kids wheelchairs, and strollers. Pediatric wheelchairs are typically customizable in size and colors. Not only can parents find the best-fitted chair for their child, but it gives children the opportunity to select fun colors for them which can build self-esteem and allow for individualism. Each type of pediatric wheelchairs addresses specific concerns for different ailments and needs. Most manual wheelchairs are propelled using arm strength, while some with a lower frame is designed to be propelled using leg strength. The sizes vary. There are types specifically for children 6 and under and others for 6 years and older. They are adjustable because children are always growing. There are also motorized wheelchairs that are beneficial in conserving children's energy as well as increasing self-esteem. While some would be under the impression that young children would not be able to operate an electric wheelchair, new research has found that under supervision, young children can learn to operate it very easily. It is typically operated with a hand-held controller, much like a video game and is a great option for children. Those who opt for a power wheelchair are often those who cannot propel themselves. Strollers are designed for very young children or those who can’t and don’t need to propel themselves in a wheelchair, similar to the motorized wheelchair. However, this is a sound financial alternative. Strollers may be equipped with a variety of standard features and options including trays, canopies, harnesses, and support. The benefits of strollers including support for head and neck and encouraging children to sit upright that cannot be achieved with a commercial stroller. This has built-in adjustments where the base is foldable. 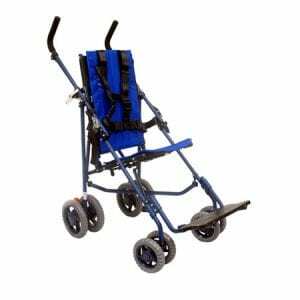 It is much lighter than traditional wheelchairs and is often a backup for electric chairs. Stand-up frame wheelchairs are used for children who cannot stand on their own. For instance, children with cerebral palsy benefit from this type of wheelchair because it gives them the opportunity to stand on their own. A stand-up frame has been known to increase circulation, build muscle strength and coordination in weakened areas, and better bladder function. Features included with pediatric stand-up frames may include trays and harnesses. This type of pediatric wheelchair is suggested for those children in physical therapy, as a way to integrate children into a normal classroom or lifestyle. 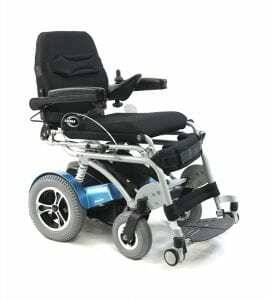 This entry was posted in Retails, Wheelchair, Wheelchair News. Bookmark the permalink.